The CCS M-Ed program is run across its many partnered health services including Alfred Health, Peninsula Health, Cabrini Health, Epworth Healthcare, VIFM and community General Practice clinics. Emphasis within the program is based on patient centred bedside skills as well as the required background and theoretical medical knowledge which is delivered via a range of teaching tools. Access to the latest in research and development advances in medicine is available, with these cohesive elements acting together within a challenging and supportive learning environment. 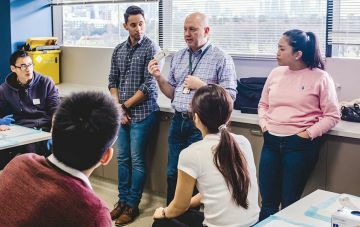 The Central Clinical School (CCS) coordinates teaching for medical students at a number of hospitals and community services in a structured clinical teaching program. Meet our medical student education staff and find out what they do at CCS. 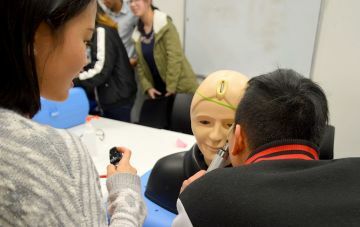 Medical students can take electives at a variety of sites. Find out what options will suit you. Congratulations to the 2018 winners! 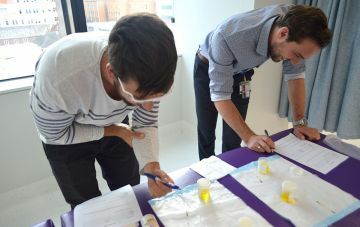 Discover which medical students won prizes at Central Clinical School in 2018.